Online shopping is still in a developing phase in Mexico. eShoppers in Latin America’s second largest economy are still learning to trust ecommerce platforms, but are rapidly changing their consumption patterns to adapt to the digital economy. As large retailers like Amazon, Walmart, Palacio de Hierro, and Linio understand that the potential of the Mexican market is very high, they have doubled their efforts to familiarize Mexican customers with online shopping, enhancing their online shopping experience. Merchants that want to tap into the Mexican online market, will have to learn some tricks about the Mexican market. Here are 10 facts to consider for a successful entrance in the Mexican ecommerce market. 1. You are doing business with unbanked customers, unfamiliar with online banking. Cash has been very “sticky” in Mexico. Despite the availability of non-cash alternatives such as credit, debit, and prepaid cards, online banking, and—most recently—mobile banking, an estimated 90% of transactions in Mexico are still performed in cash. Today 56% of the adult population remains without a formal bank account, and only 83% of the banked population has a credit card. Low card usage is largely explained by consumers’ fears surrounding payment fraud. Issues such as card cloning are top-of-mind concerns for many Mexicans. This has contributed to making cash the preferred payment choice for many. 2. Not accepting Cash payment & Debit Cards will seriously affect your capability to profit from the Mexican market. We can not stress enough on the importance of cash payments. They are the preferred payment method of Mexicans. OXXO, a cash payment alternative holds a 30% market share of online shopping, Mexicans prefer paying with debit cards, in fact there are 5 Debit Cards per every Credit Card in the country. Know more: Alternative payment methods in Mexico. 3. Mexicans are in the early adoption phase of ecommerce. It is very important to reassure your customer that your eStore is safe. The Mexican Internet Association – AMIPICI research points out that 77% of Mexicans have security concerns when paying with cards, hence preferring cash payments. Mexicans are using the internet to research online and purchase offline (ROPO). In fact 43% of retail sales start from online research. That is an excellent indicator that ecommerce in Mexico will continue to grow, as all researches so far show that ROPO buyers convert soon to online shopping. Today, already 32% of online users shop online and in average Mexicans spend more when shopping online than their Brazilian counterparts. 4. Within specific categories Mexicans favor physical purchases e.g clothing & groceries, but your store can change that. If you are selling product categories where having first-hand experience matters, it is of absolute importance that you reassure your customer the product in question is the right one. Do that bydisplaying all product information accurately. Measures, sizes, colors must be shown as clear as possible and expressed in standard units your customer understands, centimeters for instance. Checkout how WISH, an online retail store does it in Mexico. 5. Make your return policies as simple as possible. 6. Mobile phones are the sweet spot: have a mobile responsive website. Mexico has a young thriving population that is buying ever-cheaper smartphones and using them to shop online.Focusing on this demographic and investing more in mcommerce has the potential of greater rewards. 7. Mexicans do not trust the national postal service. “I don’t have faith in the postal system. I prefer to go the store than have it sent to my house.”- A Mexican online shopper , People in Mexico don’t trust the postal system. 8. Mexicans often travel to the USA for better deals. Mexico’s top income decile earns an average annual income of over USD40,000. This group is almost equal in size to Chile’s entire population, and they love to travel to the United States over the holidays to do some basic shopping. This specific population group is highly aware of the benefits of online shopping, so be sure to correctly address them. 9. Mexicans prefer foreign-made products. Mexicans hold foreign produced goods and services of superior quality than locally produced ones. That is a solid competitive advantage you have from local stores, so do some price-benchmarking and make sure your price is competitive enough as to attract Mexican shoppers to prefer your online store. And they bought over USD 2 bi in 2016 already, and total ecommerce sales are expected to double by 2019. 10. Doing business in Mexico is potentially simpler than Brazil. Mexico’s per capita GDP is 30% greater than Brazil’s, and according to the World Bank’s ease of doing business index . Mexico is ranked number 39, in a higher position than Brazil is. 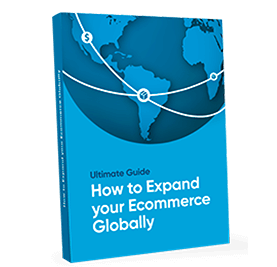 Ecommerce sales in Brazil represent today represent around 3% of the retail market. In Mexico it’s just over 2%. This gap should narrow during the next few years, as roadblocks to online shopping are being cleared and large companies are educating consumers in Mexico and encouraging them to buy online for the first time.